In the fashion category Couponsmasti.in offers discount deals and coupon codes from some of the most popular online stores in India. There are coupons and deals available from Myntra, Jabong, Fashionara, Koovs, Slassy, Snap Deal, Fashion Equation, Fabullosso, Nineteen, Basic Life, Limeroad, Adira and Free Cultr. These stores offer the best brands for apparels, footwear, accessories, bags, jewellery, etc. for men and women. 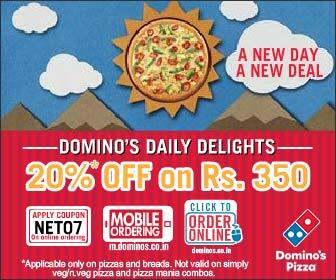 We have offer a wide array of discount deals and coupons and bring to you a deal that suites your requirement.